StypeKit - achieve Augmented Reality with your existing crane! 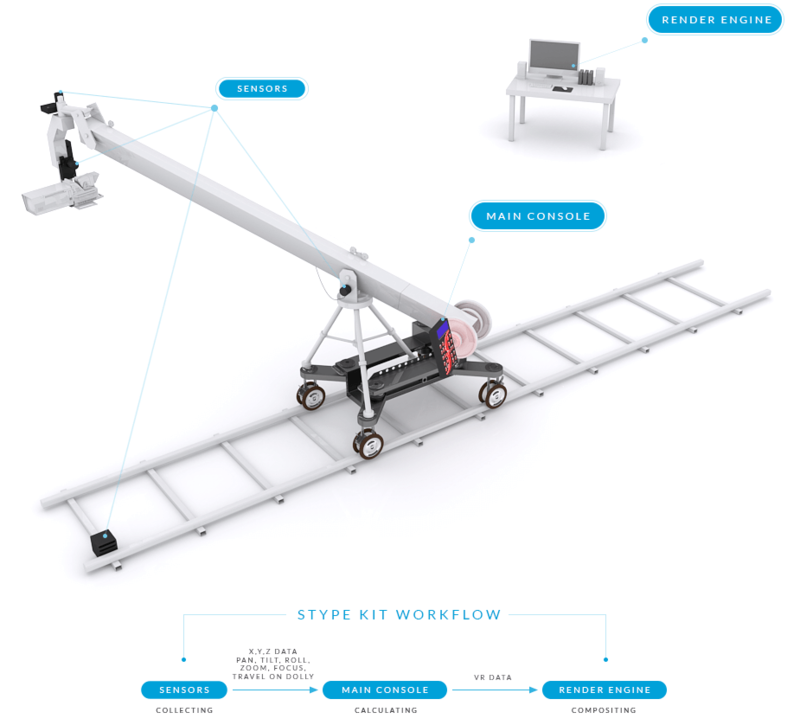 StypeKit is a bolt-on camera tracking system for a camera crane. The system does not require any additional external sensors or infra-red cameras to deliver precise positional data of the camera in 3D space. StypeKit is specially designed, so there is no need for any physical modifications of the camera crane. This guarantees for fast setup times and even enables producers to use it on different broadcast locations throughout the day. On top of that, StypeKit is exceptionally portable, and that makes it perfect for outside virtual reality broadcast. Top level broadcasters, including the BBC, Fox Sports, MTV and many others, are already enjoying all the benefits of using the StypeKit. The system can be paired with any render engine currently available on the market including Vizrt, Orad, Wasp3D, RT software, BrainStorm, XPression, Chyron Hego. StypeKit has a powerful lens calibration feature that sets a new standard of quality and lets clients focus more on the creative aspect of the project and less on technicalities. The calibration is done within the StypeKit console. Add to this StypeKit’s automatic aiming and focusing (targeting) feature and you get a robust camera tracking system that is easy to setup, calibrate and use while producing professional results every time. Download and read the StypeKit brochure here. We encode the camera crane movement by placing StypeKit’s sensors on all pivot points of the crane. Sensors collect X, Y and Z movement along with Pan, Tilt, Roll, Zoom, Focus and Travel on Dolly. This positional data is then processed and sent to the render engine for compositing the real footage with virtual graphics – in real time. Fox Sports, the BBC, MTV and many others recognise the StypeKit for its precision and stability. Find out who else is using the StypeKit through StypeKit global community page.